This unique art dangle is a vibrant reflection on risking the journey. 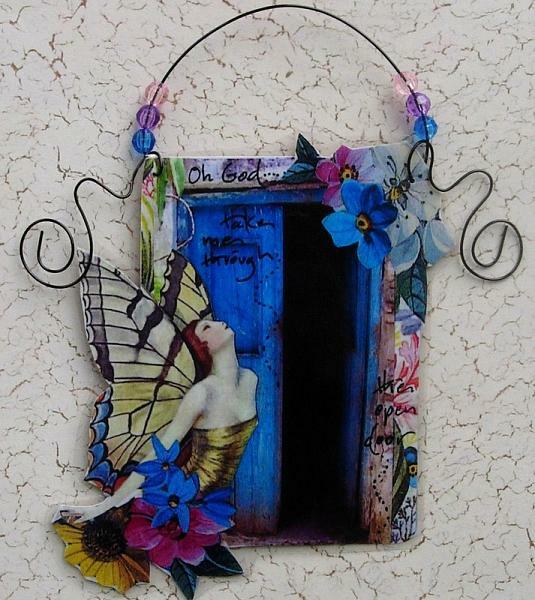 This collage print has been laminated for durability and protection and accented with black swirled wire and colorful beads. These are wonderful to collect and dangle around the house or give as a gift to a special friend! It measures approximately 5.5 x 5.5 inches which includes the swirled wire hanger and charm.